As any child will tell you, some of the most important parts of the school day do not happen in the classroom, but on the playground. And that's as it should be. The essence of education is the discussions, negotiations and social interactions between students – and between students and teachers. Nowhere is that more apparent than outside at recess. 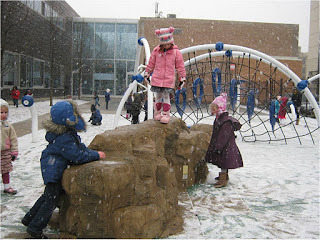 Beyond the benefits of physical activity, and its proven connection to academic success, outdoor play is the laboratory for social interactions. Learning how to make friends, share, work together, and play games with rules – all of these are “caught,” rather than taught outside during open-ended play. In general, today's children have little play time. After school they are shuttled to soccer, dance, music or art lessons. All of these enrichment activities are valuable, but the opportunities for our children to be able to just walk out on the street and put together a game of baseball, football or pretend store are rare. Much has been written about how important imaginary play and unstructured social games are in the intellectual development of children. 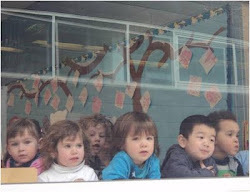 The deep thinkers of tomorrow need the space and time to develop these thinking skills. Figuring out how to play a game with a limited number of people and supplies is a great opportunity. Creating a castle out of snow and rocks is exciting. Two teams are needed to play a real game, and the students will figure out how to make the teams “fair” and fun for everyone. 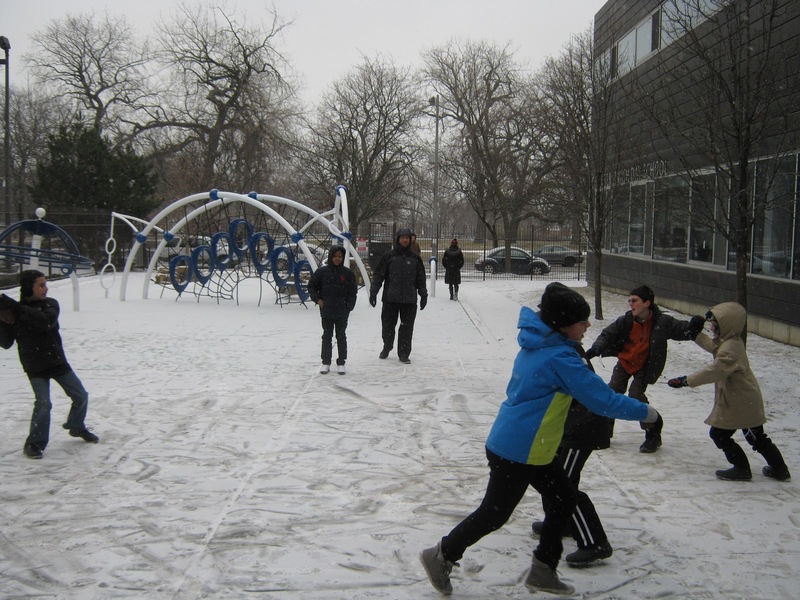 That’s why our students have recess outside, unless the weather is truly prohibitive, which for many of them means never, as they will argue to go out even in sub zero temperatures. After all, snow and ice provide new opportunities for play, not to be had otherwise. I grew up in NYC. The public schools had recess in those days except when it rained or snowed. On those days, recess took place in the gym after lunch. As soon as we got home we made up for indoor play with on our own outdoor play. Girls and boys alike played handball, punchball, softball, stoop ball, hopscotch, and the like. All unstructured play but it kept us in shape and we learned how to get along, even in competitive play. LWRightforKids - thanks for your comment! It sounds like you had exactly that kind of freedom as a child to have unstructured playtime, and it is indeed wonderful to see how kids work out a game and get along.